These birthday balloon cards are part of a charity card-making class that I'm leading at our church. Every November, our church holds a Christmas bazaar, so we are getting ready early! Hopefully, we'll have enough cards and things to sell in the autumn! 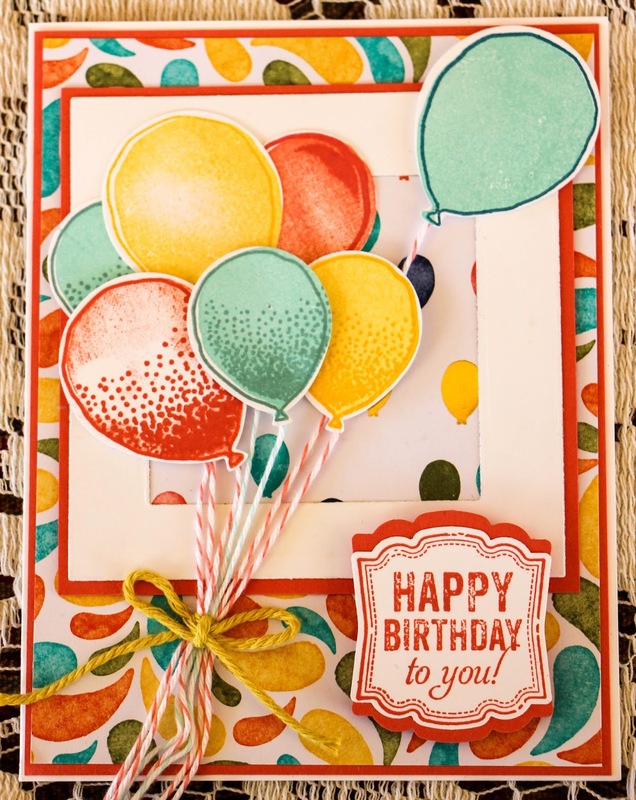 These cards feature Stampin' Up! 's Balloon Celebration stamp set, as well as the set Label Love, which I used for the sentiment. 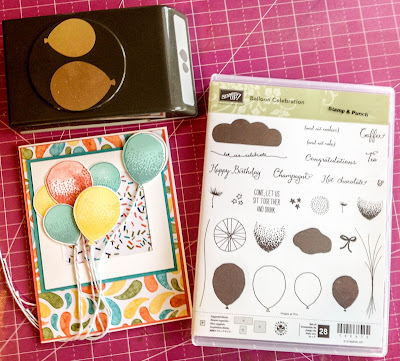 Both sets have coordinating punches -- for the balloon and the label -- which is a great time saver when you don't have to trim out stamped images by hand. 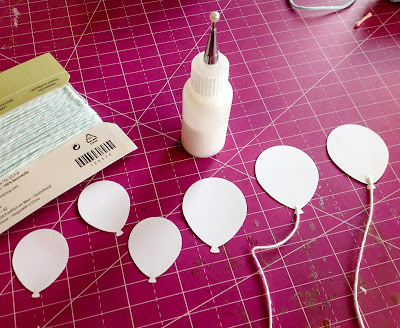 After the balloons dry, use the balloon punch to cut out the pieces. Cut 5 to 6-inch baker's twine and glue to the back of the balloons. The strings will be trimmed later. The Stampin' Up! 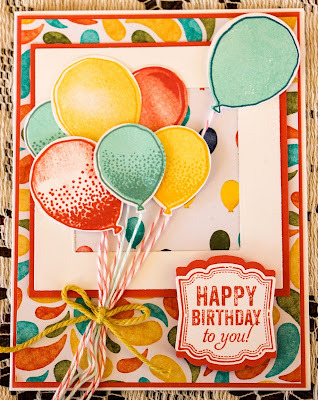 Designer Paper Series used in this project is Birthday Bash and other solid Stampin' Up! cardstock in various coordinating colors. There are at least five layers of paper on this card, including a frame I made from two square dies. 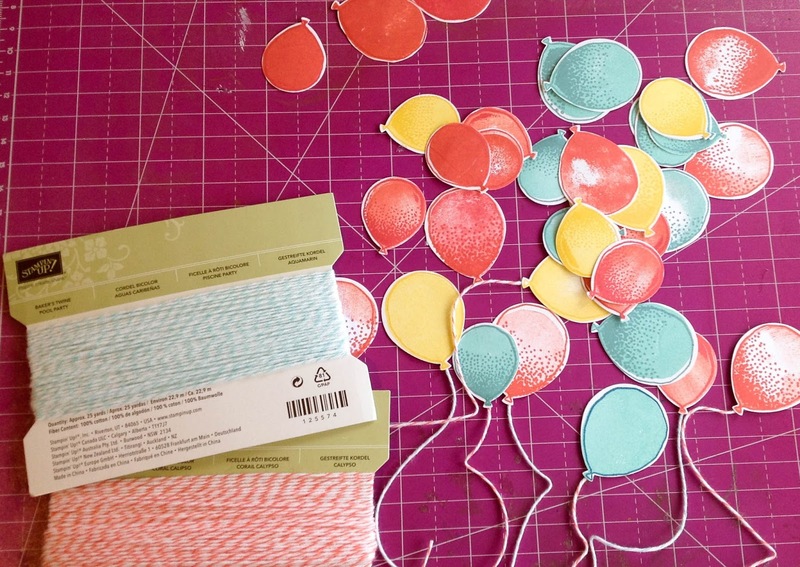 Once the layers are adhered onto the card, begin arranging the balloons. The top right balloon should look like it is blowing away in the wind. 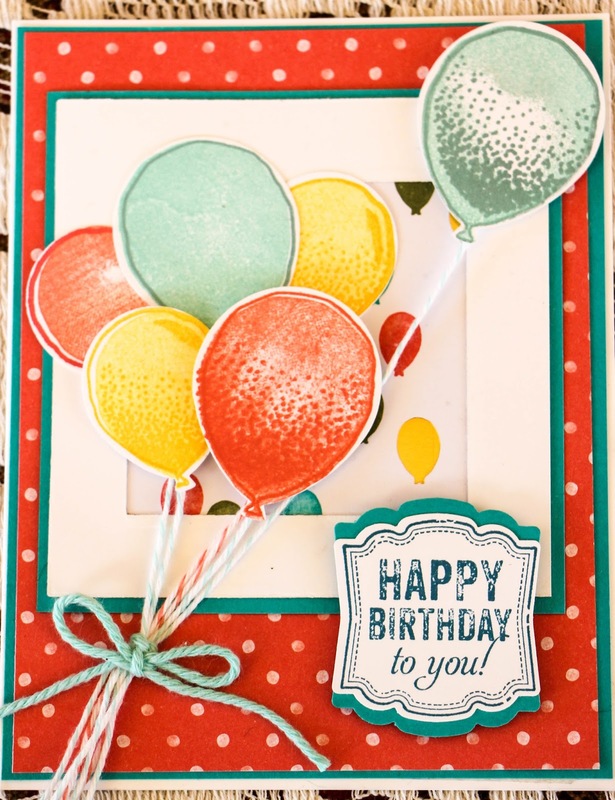 I used some pop-up adhesives to create dimension with the balloons. After you have the balloons where you want them, use a thick piece of baker's twine to gather the balloon strings together; trim the balloon strings. Glue the thick baker's twine in place. 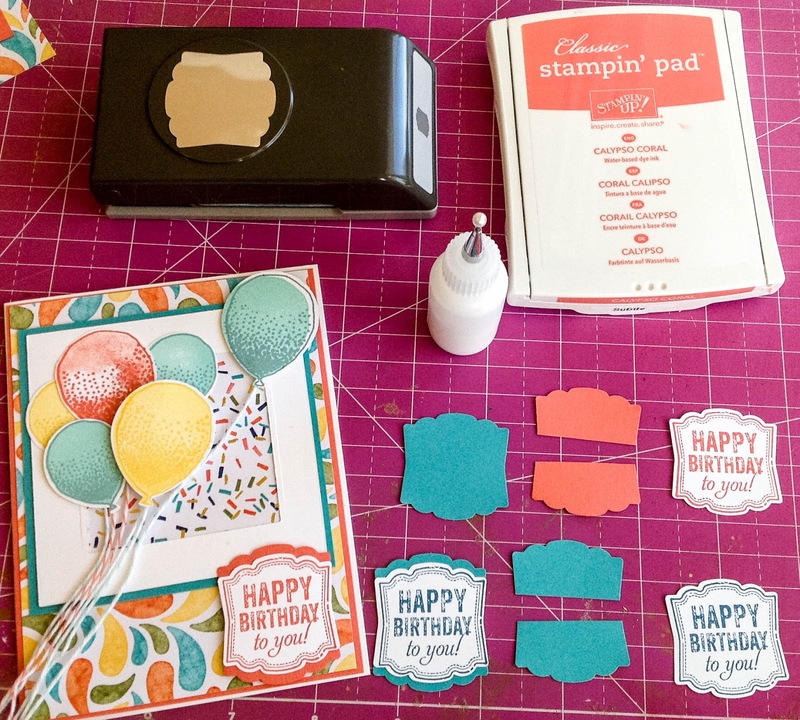 Stamp the Happy Birthday stamp onto white cardstock; punch it out. 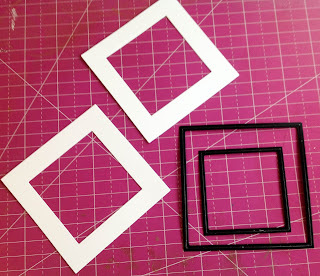 Then punch a coordinating piece of cardstock. 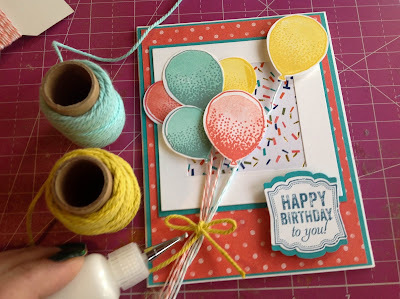 You can see how I cut the colored cardstock to act as a trim behind the Happy Birthday stamped image.